The highlight of Queen biopic Bohemian Rhapsody is a meticulous recreation of their most famous live show — using a fresh mix of the original audio recordings. By the time you read this, Bohemian Rhapsody may well have grossed more than one billion dollars worldwide. It's already the highest-grossing musical biopic of all time, by a factor of five, and the highest-grossing drama film without action or fantasy scenes. Rami Malek has been widely praised for his astonishingly believable portrayal of Freddie Mercury, and at the time of writing, the movie had just won four of its five Oscar nominations. 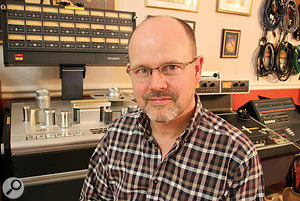 Queen manager Jim Beach produced the movie, and guitarist Brian May and drummer Roger Taylor were involved in almost all aspects of its making — which took no less than eight years. The music of Queen, of course, is central to the film's success, and the band's original recordings were used almost throughout. The soundtrack has been honoured with a BAFTA Award for Best Sound to John Casali (production sound mixer), Tim Cavagin (re-recording mixer), Nina Hartstone (supervising dialogue editor), Paul Massey (re-recording mixer) and John Warhurst (supervising sound and music editor). The movie also won Academy Awards for Best Sound Mixing and Best Sound Editing, and the quintet clearly performed miracles with the dialogue and in putting the final movie sound mix together. The original Queen music, however, was supplied by the band's own sound team, consisting of Justin Shirley-Smith, Joshua J Macrae and Kris Fredriksson. May and Taylor are credited as Executive Music Producers, while Macrae, Fredriksson and Shirley-Smith are credited as Queen Music Co-Producers. 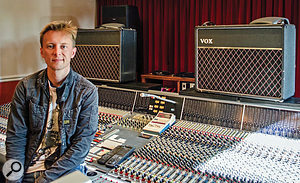 Joshua J Macrae is full-time engineer at Roger Taylor's studio in Surrey.Macrae is Roger Taylor's regular engineer and manager of the drummer's The Priory Studio, while Shirley-Smith and Fredriksson are Brian May's engineers and run the guitarist's private Allerton Hill Studio — both studios are located in Surrey. The three engineers enjoy mixing and co-production credits on almost all recordings that Queen, Taylor and/or May have been involved in over the last few decades, including 14 tracks on Bohemian Rhapsody: The Original Soundtrack — the other eight are original album tracks. The soundtrack album itself has reached number one in many countries, and got to number three in the UK and the US, and it still remains in higher regions of the charts four months after its release. The involvement of Macrae, Fredriksson and Shirley-Smith began with a visit from movie sound supervisor John Warhurst. Macrae: "When John came down to see us, the movie-makers had in mind to re-record all the Queen songs that were to be used in the movie. I think John had done a number of films where there wasn't a positive connection with the musical artist involved, and where they did not have access to the masters, so they were fully prepared to go down the route of re-recording every note and vocal. In fact, they had already hired an arranger who had a good understanding of Queen's music, and were discussing who to hire to replay the guitar parts and so on. When John came in with the script, he asked: 'What do you have for us? ', clearly not expecting much." 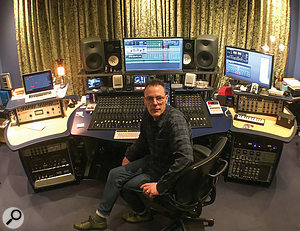 Justin Shirley-Smith is one of two staff engineers at Brian May's Allerton Hill Studio.Shirley-Smith: "Some of what they wanted were what they called 'needle-drops', which is simply the original studio recording being played in the movie. The other ones were live performances. 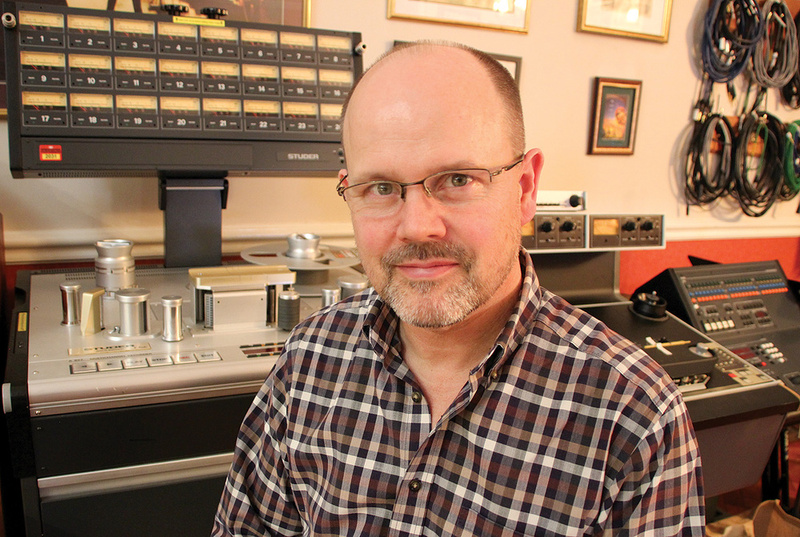 For the needle-drops his first question was: 'Do you have the original multitrack masters?' The answer to that was yes, and better still, we also already had pre-mixed stems from some of these masters, because we had reverse-engineered these original mixes in the past for other projects. To his surprise and delight, we then told him that we also have the multitracks of many live recordings, which meant that they also didn't have to re-record these. "The live recordings we have are of pretty good quality, which was important, because the movie-makers were very particular about the quality needed. The recordings we have, for example of Hammersmith Odeon and the Rainbow Theatre in the 1970s, are really beautiful. As we spoke, John became happier and happier, realising how much original Queen material could be used. He then asked us whether we could make stems of tracks where there weren't any, and again we said we could. The film-makers could not believe their luck!" To understand how and why Shirley-Smith, Macrae and Fredriksson were so well prepared when Warhurst came knocking on their doors, we need to backtrack a little. One essential bit of background is the fact that the three have worked for Taylor and May for a long time. "I have been with Roger since 1987," explains Macrae, "I played drums in a band with him, the Cross, until 1991, and then started engineering for him. We moved to the premises where we are now in 2004. 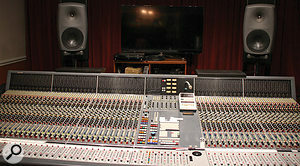 The studio is private, with occasional use by friends. 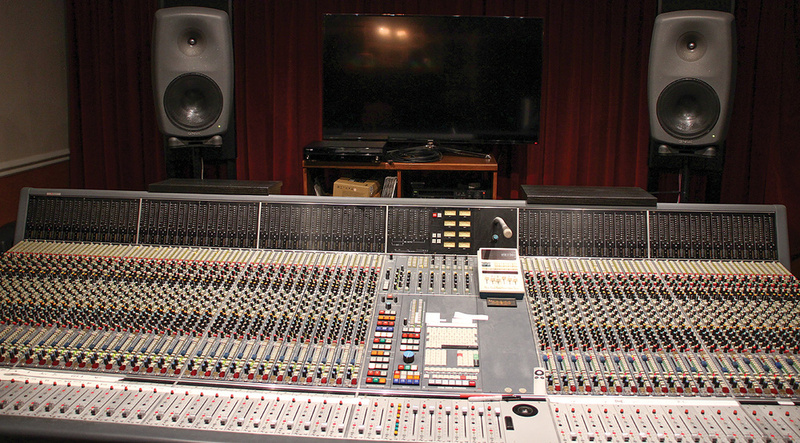 In the old studio we had a 56-channel Amek Mozart desk, but we are fully in the box here." Kris Fredriksson, Brian May's other staff engineer, at Allerton Hill. "I used to play drums and still play guitar and a bit of piano," continues Fredriksson. "I studied music and engineering, and I began working for Brian in 2001, having worked at Mountain Studios in Montreux before that. There's so much going on within the Queen world that it's a full-time job for all three of us. We do archiving, there are projects like the Bohemian Rhapsody film, Brian put out a new song on New Year's Day ['New Horizons'], he does guest appearances with other artists, and there's the Queen catalogue to look after, which involves remastering, remixing, reissues and so on. It's several jobs into one, with no time for anything else. Mad but good!"